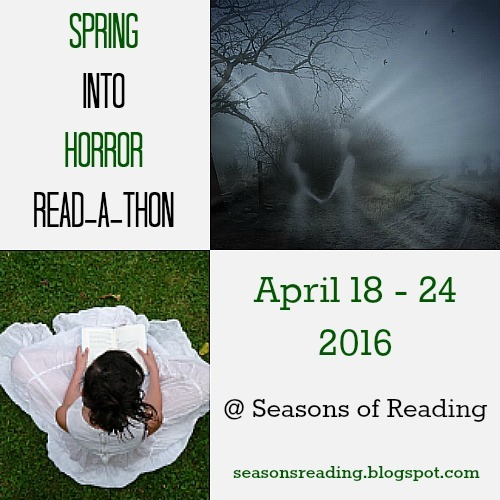 Time to sign up for Spring Into Horror! Official dates are April 18 through 24, starting at 12am CDT Sunday and ending at 11:59pm CDT the following Sunday. 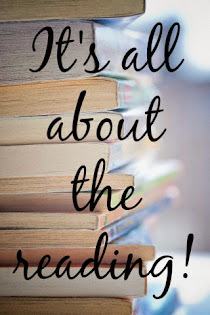 Guidelines for the read-a-thon can be found HERE or you can access in the menu at the top of the blog. Any information you need about the read-a-thon can be found there. The hashtag for checking in on Twitter is #SpringHorrorRAT You can also check-in and chat at our Facebook group (also can be accessed in the blog menu). I am thinking about hosting a chat once during the read-a-thon at the Facebook group. Let me know in the comments what you think of the idea. Please do be sure to check the guidelines, as it explains all about signing up and starting the read-a-thon. Thanks for signing up! Looking forward to a great read-a-thon!